the standard for claim construction in inter partes review and post-grant review is being changed to make it more difficult to invalidate bad patents. Let’s get real here. The universities and the Innovation Alliance are like Lucy playing the football gag on Charlie Brown. They’re simply not going to support any kind of reform that has the slightest chance of costing them money. 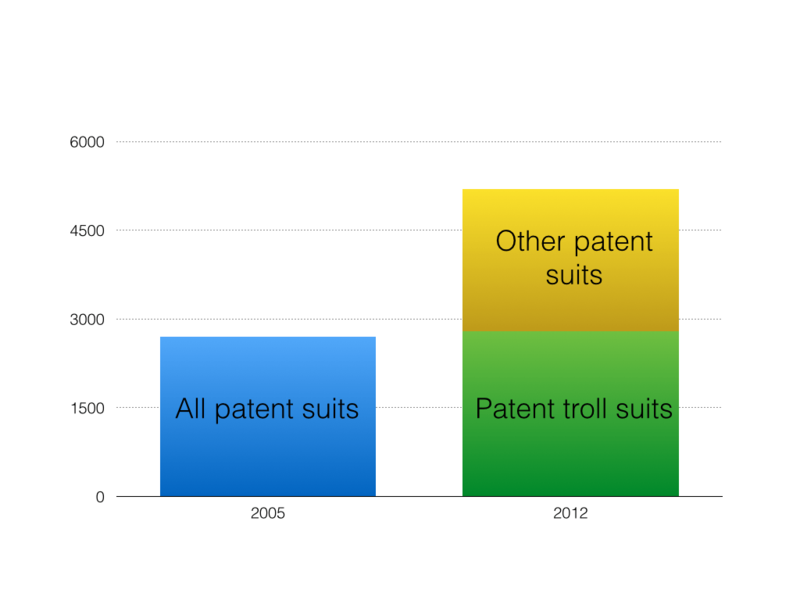 Let’s focus on correcting the worst new imbalance, namely the exploding ratio of patent troll suits to all patent suits. That’s right. Patent trolls now file as many lawsuits as the combination of all companies in all industries did less than a decade ago. That’s a patent system that is already out of balance, and it’s why we need the Senate to pass meaningful patent reform now.